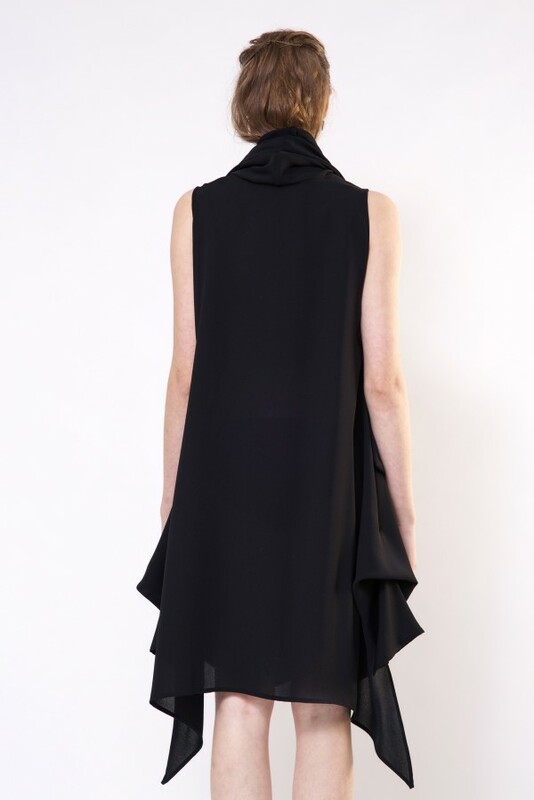 Black sleeveless dress is crafted from high quality silk material. The dress features high collar, asymmetrical cut and big all over drapes. Model is 175cm // 5'9'' height and is wearing size S.